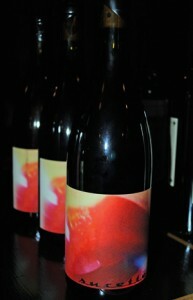 2014 Richard Betts “Sucette” Grenache, Vine Vale-Barossa Valley, Australia. Richard Betts, the well known American Master Sommelier and author, has been a long time champion of Australian old vine Grenache and his continued passion for this terroir and varietal shows in the soul and delicacy his latest Sucette offering from Australia’s Barossa Valley, this is fine and beautiful effort that highlights the grace and detail this grape can deliver. The vines are ancient own-rooted grown on sand, just like some of the most sought after and famous Chateauneuf du Pape wines, and Betts achieves that kind of impact, but with a slightly more restrained approach and subtlety in his 2014 Sucette Old Vine, it reminds me also of some of the latest wines from Westside Paso Robles made from Grenache, like Booker, Epoch and others. This is pure Grenache in it’s ready to please best clothes with ripe red fruits, spice and a balanced mix of sweet and savory elements, this is thrilling stuff and the finish is lengthy echoing the palate. The start is exciting as the Sucette enter the glass with a gleaming ruby/garnet hue with a lifting perfume of mixed fruits, pepper and lavender leading the way to a rich mouth filled with raspberry, black cherry, strawberry and plum fruit as well as chalky peppercorn, sweet herbs, anise and soft creme de cassis. This is very defined, vigorous and opulent Grenache with well judged tannin and round textures, full bodied and joyous from start to finish, but poised and charming, drink over the next 3 to 5 years, impressive without having to shout from the rooftops, this is one to look for.